I have been quilting up a storm this past month. I must stay on track. This quilt was picked up last week and I asked if I could show it off. 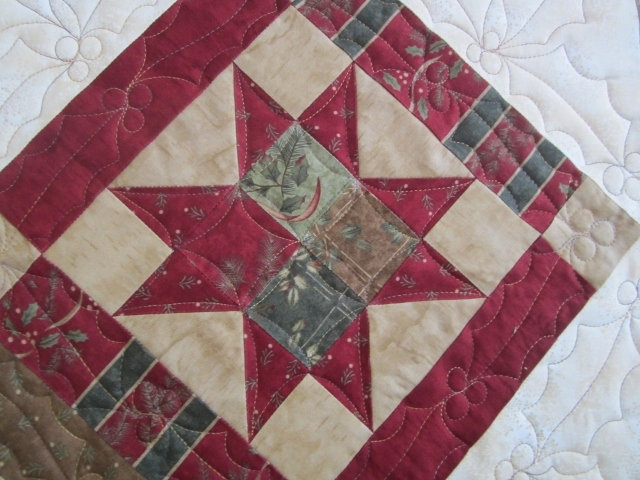 She is a fairly new quilter and did a really good job putting it together. Sometimes I see quilts with blocks on point that are a little miss shaped, but not this one. It was very straight on all sides. Holly and berries are every where. 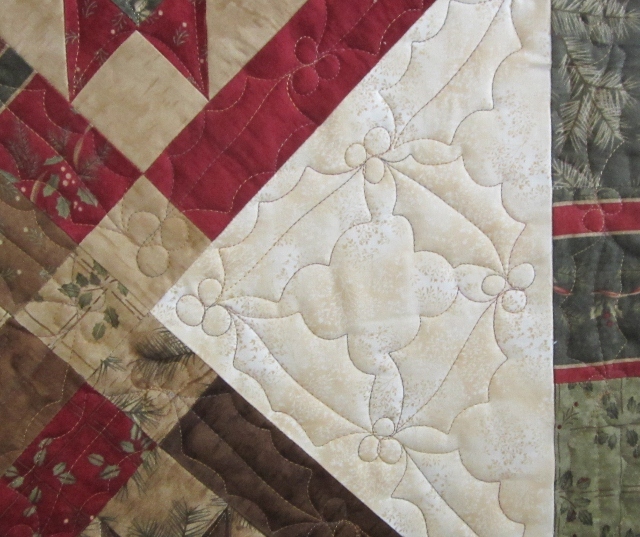 The quilting really showed well on the cream triangles. Here is the block, I have used curved echoing on the star. 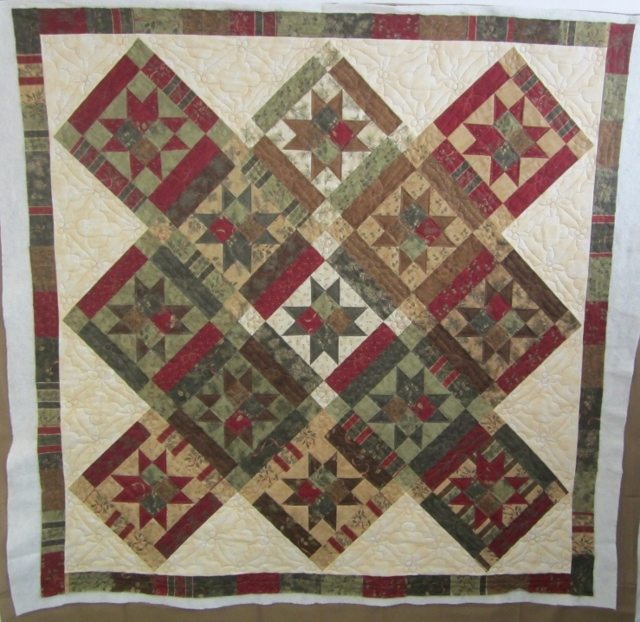 I can not wait for the next step on Easy Street, Bonnie Hunter's mystery quilt. Today I load another quilt, all Batiks. I also hope to have a little winter finish to show you for Friday. Love the holly and berry quilting!